Each 100 grams contains: Sonamukhi 50g, Shiva 6g, Yashtimadhu 5g, Saunf 9g, Trifhala 9g, Sanchal 18g, Erand Taila 1g. 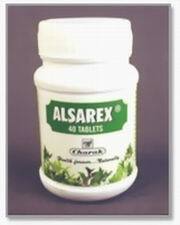 For relief from chronic constipation and associated symptoms of flatulence, nausea and acidity. Eases bowel evacuation in painful conditions of piles and fissures. For Smooth & Healthy Pregnancy. Shivlingi Beej, Putrajivika Beej, Garbhpal Ras, Komal Bargad Jata, Mor Pankh Bhasma, Chandi Waraq, Safed Jeera, Moti Pisti, Panna Bhasma, Gold Leaf. A product specifically meant for acid-peptic disorders. Very potent product for hyperacidity, along with other symptoms like burning in chest or stomach, vomiting, headache etc.An anti-toxic, blood purifier and cardiac booster, Suvarna (Svarna) bhasma helps in nourishing all the body elements as well as improving the immune system of the body.